Be transported to the legendary clubs of 1920s Shanghai at Courtesan. 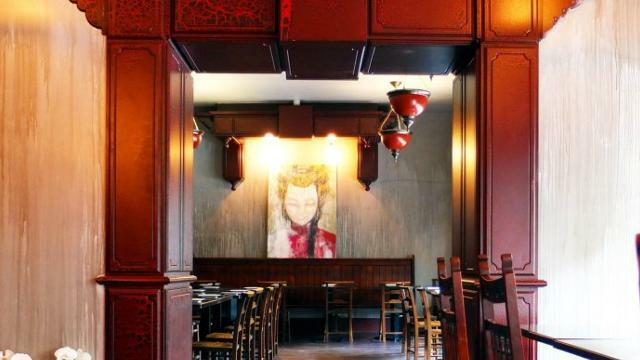 Sample dim sum among velvet cushioned seats and cabaret-style tables set against a backdrop of vintage Chinese design, as you enjoy live entertainment featuring jazz music and burlesque dance. An all-female chef team uses ingredients sourced from around the world and prepares them with ancient Chinese techniques. In addition to dim sum, the menu features noodle dishes and bao buns, and a drinks list containing wine and spirits from female producers.